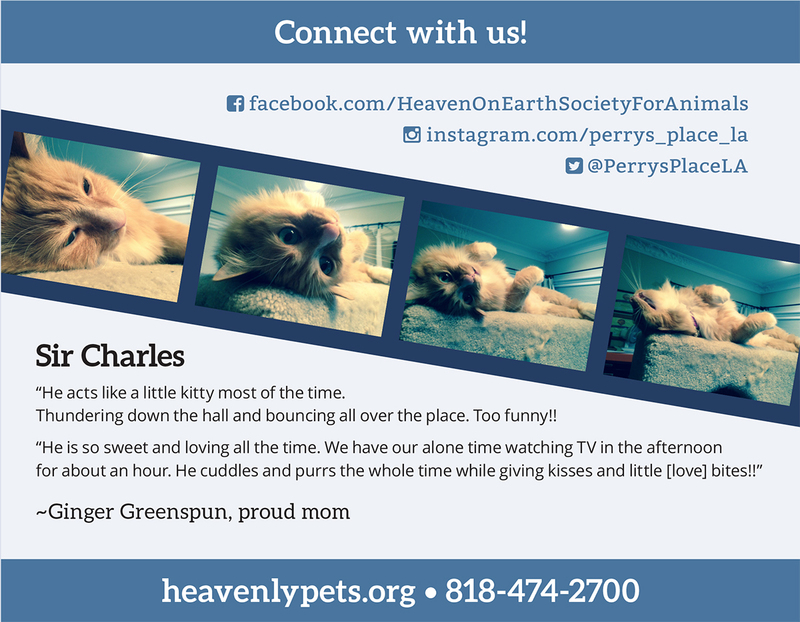 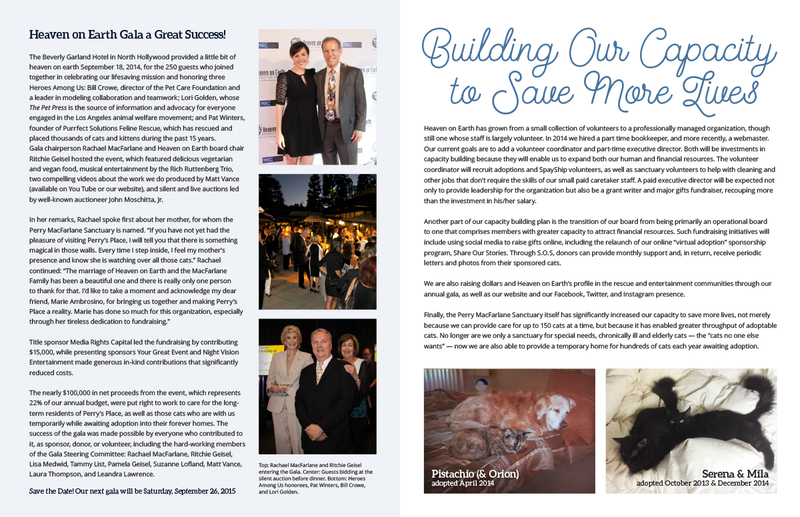 This custom annual report design was one of my first major projects for Heaven on Earth, the Los Angeles based nonprofit cat rescue. 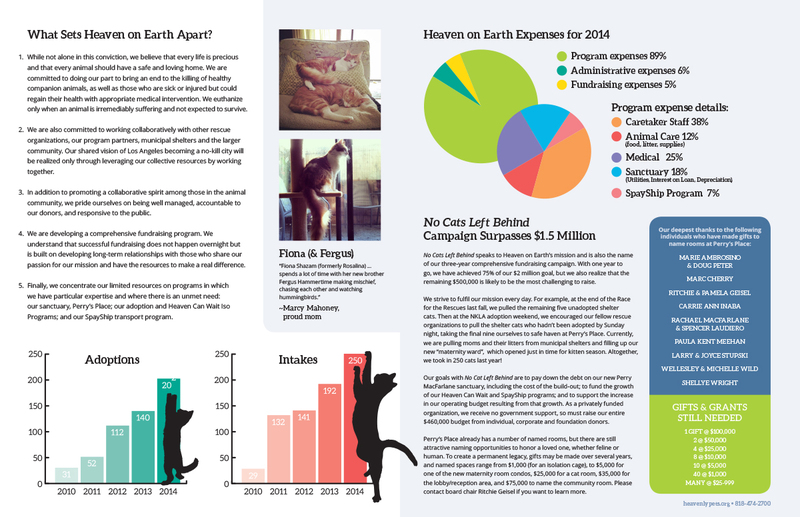 With metrics, articles, and photos of newly-adopted cats, I designed an eight-page spread to be mailed to their base of volunteers, donors, and previous adopters. 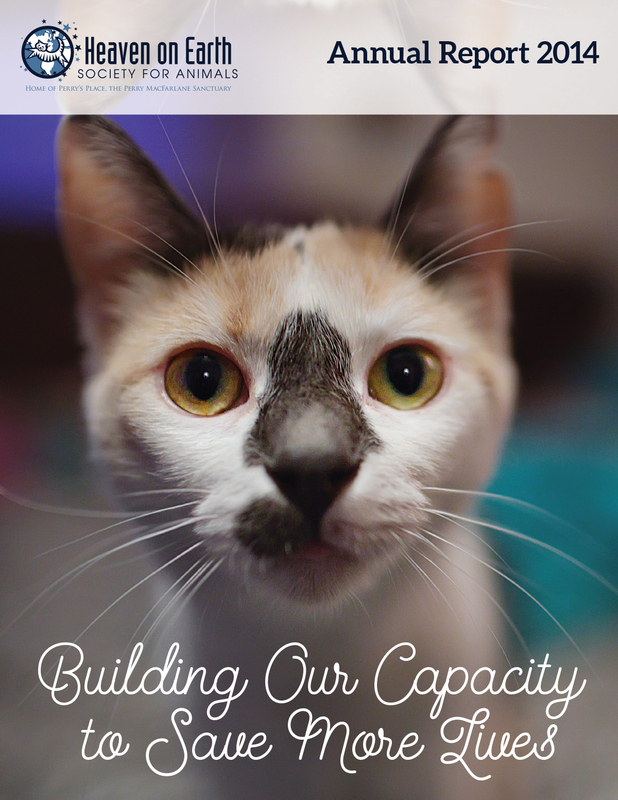 This design project helped pave the way for a complete rebranding of the rescue. 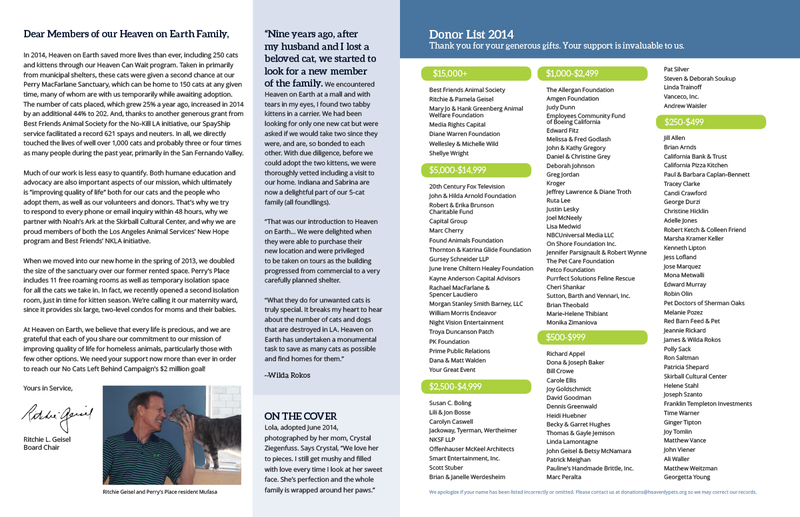 Within the following year, I was able to create a clean and fresh aesthetic for all printed and digital materials. 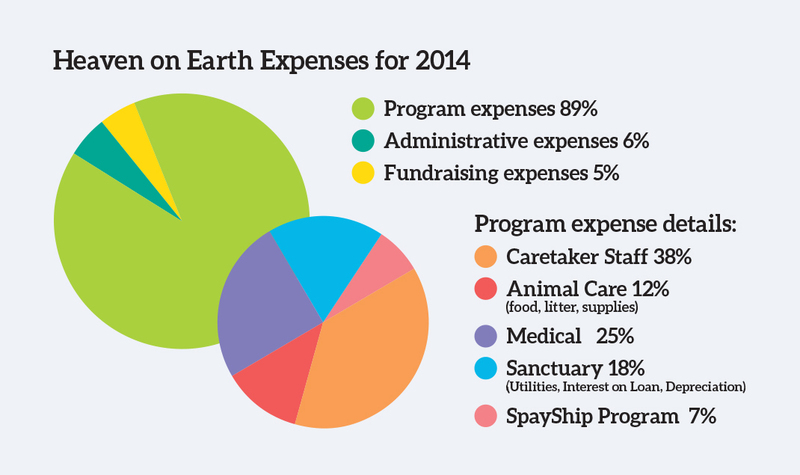 With new and consistent collateral, the rescue was able to bring in more adopters and donations than ever before.